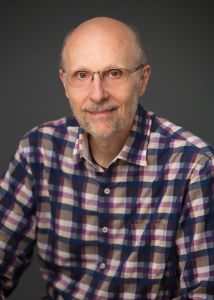 Portland State University Library is pleased to announce the winner of the 2018 Kenneth W. and Elsie W. Butler Award for Library Faculty Service, Associate Professor and Education Librarian Bob Schroeder. With Kimberly Pendell, Social Work and Social Sciences Librarian, he developed the Culturally Responsive & Inclusive Curriculum Guide, intended to support PSU Faculty in learning and exploring how to create curriculum and engage in pedagogical practices that honor the rich breadth and diversity of experiences and backgrounds of Portland State students. In 2014 his book Critical Journeys: How Fourteen Librarians Came to Embrace Critical Practice was published, and he published a series of two articles, “Exploring Critical and Indigenous Research Methods with a Research Community: Part I – The Leap, and Part II –the Landing.” Professor Schroeder serves as a co-editor-in-chief of the journal Communications in Information Literacy (CIL) and spearheaded the journal’s move from its former online home to reside as a journal published in partnership by the Portland State University Library, making CIL the fifth journal in the Library’s portfolio of journals. Congratulations to Bob on this well-deserved award! Professor Emeritus Kenneth W. Butler and his wife, Elsie W. Butler, established a fund to recognize outstanding performance by a member of the Branford P. Millar Library faculty each year. The award recognizes excellence of library service to students, faculty, and other library patrons.